This entry was posted in Gardening and tagged flowers, raised beds, Vegetables on March 14, 2015 by Julie Riebe. Lettuce on the left after it was thinned Feb. 14; on the right as it is today. 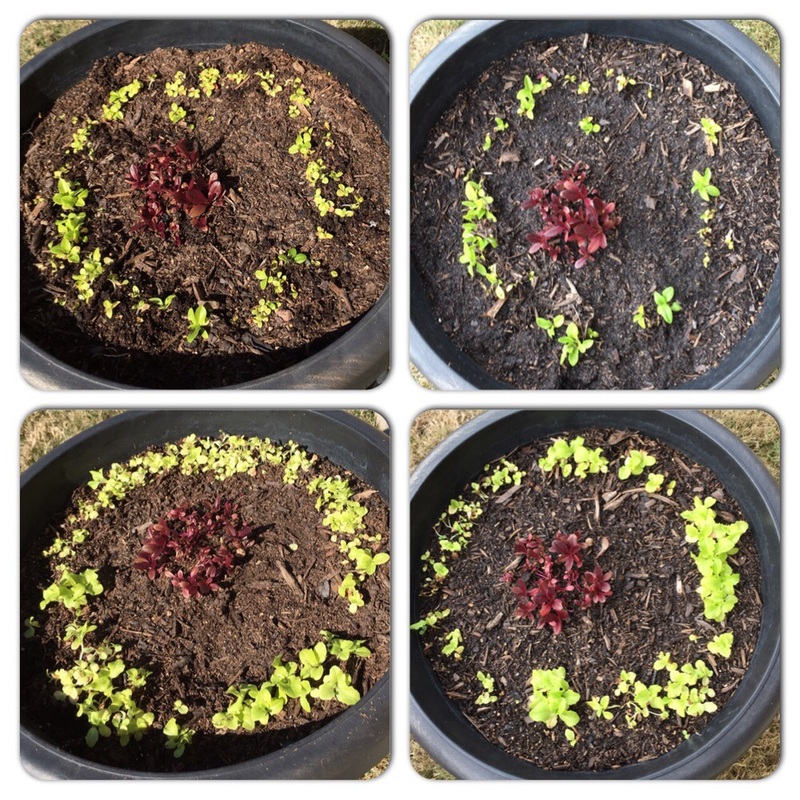 This entry was posted in Gardening and tagged lettuce, raised beds on March 13, 2015 by Julie Riebe. 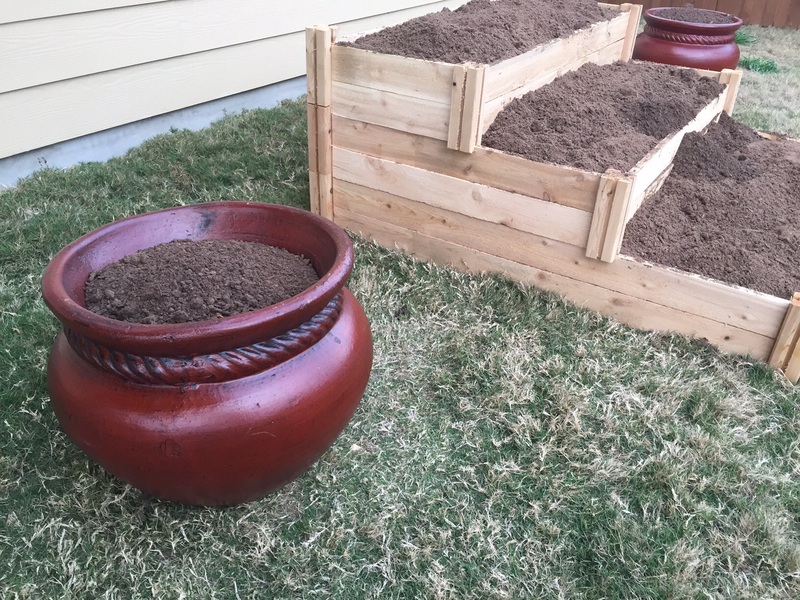 This entry was posted in Gardening and tagged raised beds, Sprinklers on March 12, 2015 by Julie Riebe. There aren’t any real surprises in my seed choices this year, although there are far fewer, given I won’t have a 30-foot-by-40-foot space in which to plant them. Veggie seed mainstays peas, beans and cucumbers will complement the tomato plants in my vegetable bed, along with a few onion bulbs. It’s possible I may add a bit more lettuce, too, depending how my current containers of lettuce do. Oh, and I can’t forget the chives and basil plants I bought. Aside from dill, I’ve never really grown herbs, unless you count lavender (salvia), which to me is more of a flower. 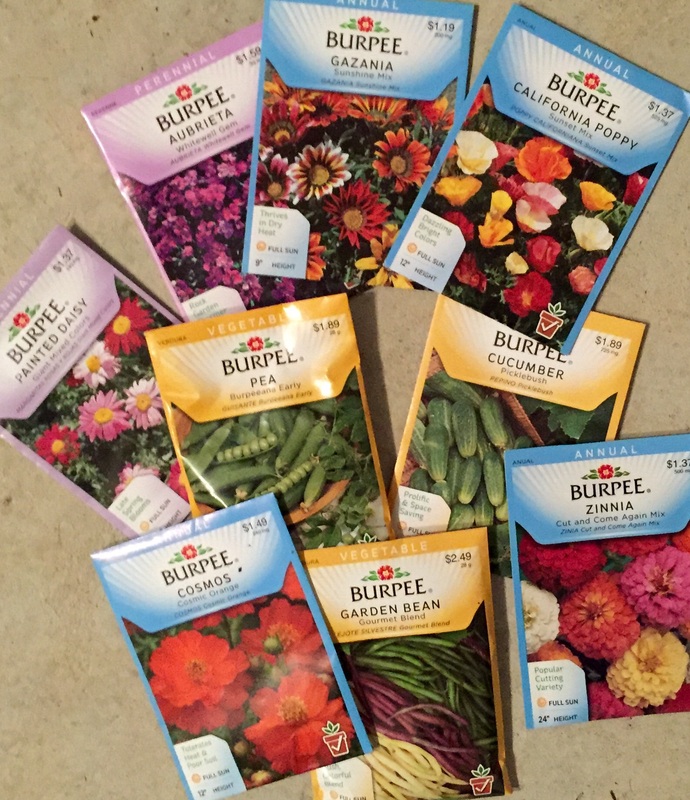 Speaking of which, my flower seed packets this year are my tried and true faves zinnias and cosmos, along with aubrieta, gazania, California poppies and daisies. I’m thinking I’m going to devote one fairly big raised bed to veggies and herbs and another big one – or maybe two smaller ones – to flowers. I have yet to figure out exactly where the underground sprinkler system’s pipes and heads are in the backyard in order to place the container beds, not to mention my crape myrtle tree. Tomorrow night, I think I’m going to run the sprinklers so I can get that settled once and for all. Not that we need any more rain, but that seems to be the easiest way to figure it out. I’ve already bought one raised bed, so I’d like to get that together, too, so I can get an idea of its size. Then I can go buy a few more, depending on what I want/need. I’m so glad it’s going to be in the 60s tomorrow and 70s through the weekend. Should be perfect gardening weather. And I’ve got a lot on my to-do list. Don’t you just love Spring! This entry was posted in Gardening and tagged flowers, raised beds, Vegetables on March 11, 2015 by Julie Riebe.